Tom Bury has been designing spaces for more than a decade. 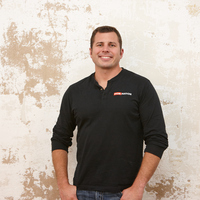 Best known for his most challenging project to date, Tom works with Chef Robert Irvine as the lead construction manager on the Food Network series Restaurant: Impossible. He is the Found/Partner in Division 9 Design + Construction L.P which is both a design firm and construction company. Wow great job on the build also love the video you rock!